We’ve been wanting to see the snake’s head in full bloom for quite a while now. We first attempted to find them two years ago when we were on a quest to discover the highlights of the Niraj Valley. We bought a book at the Franciscan Monastery and saw a few photos of the flowers, so we decided to hunt them down. Sadly, we couldn’t find the field where these gorgeous blooms were located and, as it turned out a year later, we were already too late to see them blossoming. Last year we tried our luck again, this time visiting the woods of Orheiu Bistriței on our way to Maramureș. Sadly, we were once again a few days too late and the flowers were already withered. We did get to see a few very cool seedpods though, which made the trip worthwhile. But what is it about the snake’s head that we’re so adamant in seeing it? Maybe it’s the fact that we’ve tried for so long to find it – we couldn’t possibly give up on it now! So once we started hearing the first rumors about the early blooms, we hopped in the car last Sunday and went back to the same village we visited two years ago – Grâușorul (Búzaháza in Hungarian). Once there, we stopped next to the first villager we encountered. We showed her a photo and she pointed us instantly into the right direction. We parked right by the old watchman’s house and spotted the grassland where we were supposed to see the flowers. At first we didn’t actually see anything, but once we started walking around, we caught a glimpse of the first few snake’s head fritillaries. And they were even more gorgeous in person than what I’ve seen in other people’s photos. This gorgeous Spring plant is part of the lily family and is famous for its purplish chequered pattern. It is commonly referred to as the “snake’s head fritillary”, but it’s also referred to as chess flower, chequered lily, drooping tulip or simply as fritillary. It blooms for an extremely short time period, leaving behind the seedpods showcased above that contain poisonous alkaloids. The snake’s head thrives in wet grasslands up to 800 meters altitude. 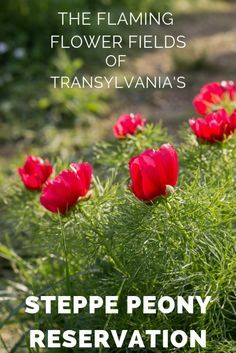 Whilst in the UK and other countries it grows in gardens, here in Romania it is considered endangered. Watch your step! Since this is not an official nature reserve, there aren’t any well-marked path like in the case of the Steppe Peony Reservation. The flowers are tiny and might be hard to see at all times, but try your best and look carefully in order to avoid stepping on them or harming them in any way. Don’t pick the flowers! I think this goes without saying, but I am going to put it out there anyways. Since these are protected plants, a unique rarity and a cherished product of nature, you shouldn’t pick them under any circumstances. Look at them, photograph them and simply let them thrive in their natural habitat. Don’t litter! Another point that should be self-evident, however it seems that I can’t emphasize this enough, because Romania is yet to tackle its garbage problems… So be the example, because the change starts with you! Make sure you don’t leave any junk behind, even if you decide to have a picnic near the grasslands – take everything with you! Like I said in the beginning of the article, you can encounter snake’s head fritillaria at the nature reserve of Orheiu Bistriței, in the periphery of the city of Bistrița. You can also find this stunning flower in the outskirts of Timișoara, on another protected, wooden area called the Lunca Pogănișului. Another beloved habitat where the snake’s head lives and thrives in mass can be found in Suceava County, near the small village of Zamostea, in a protected land called the Zamostea-Lunca Woods. If you’re interested in the exact coordinates of the snake’s head fields in Grâușorul, feel free to reach out via message or the contact form! Have fun tracking these stunning flowers down and make sure you enjoy them responsibly! If you liked the post, feel free to Pin it to Pinterest to help spread the word!